The cuisine in Vietnam will always be fresh, fragrant and full of flavour. Vietnamese food is often rice or noodles but often has an accompaniment of fresh vegetables, pork fish or chicken and you add the heat with optional chillis on the table. The food is often placed in the middle of the table, we are given small bowls and chop sticks and we help ourselves. The Vietnamese thinking is they never want to see their guests go hungry so they will keep bringing out the dishes until everyone has stopped eating. 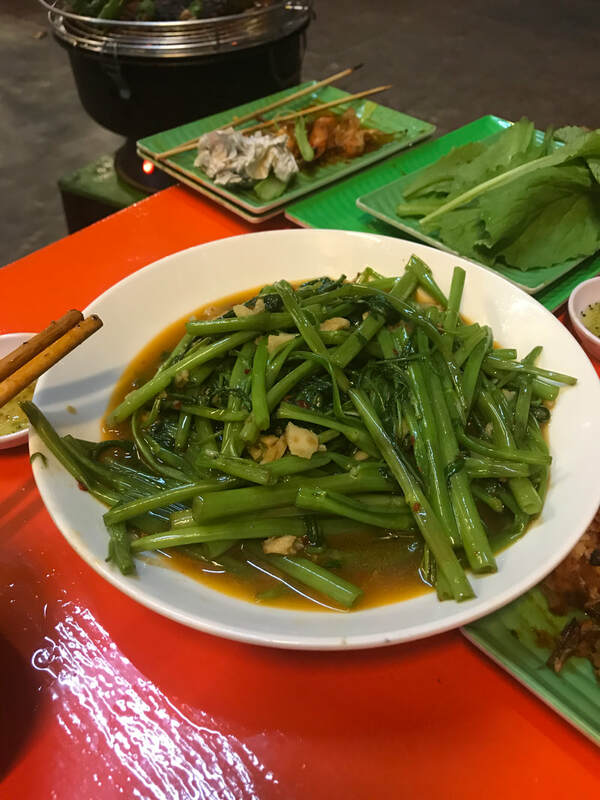 Rarely do you see a menu in Vietnam, it is usually what they have they will bring out but don't worry if you have any intolerances to food or any preferences, let one of us know and we will ensure there is appropriate food each evening. Often vegetarian food gets eaten first because it is so tasty. 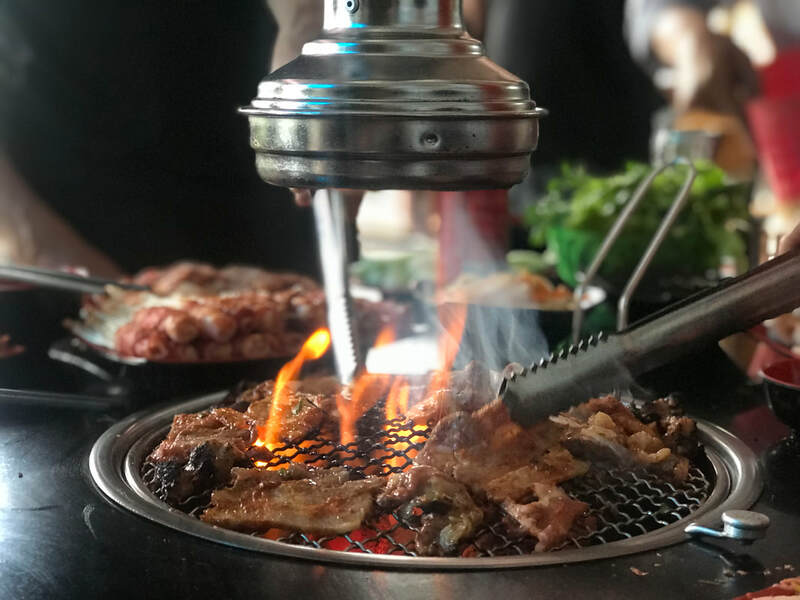 The barbecue is big in Vietnam, cooking meat on an open fire is often the only way they know. 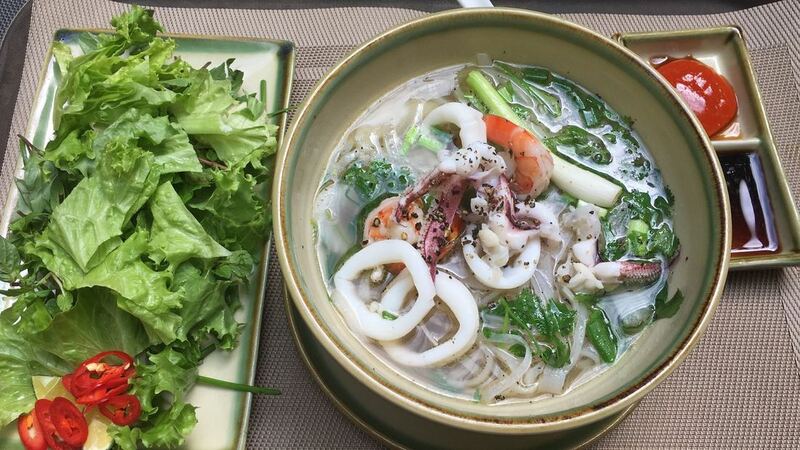 Phô is the breakfast of choice for the majority of Vietnamese both in the cities and in the villages. It is a noodle soup, vegetable broth with either beef, chicken or vegetables however as we go south there is more of a fish selection, fresh from the sea. Water Spinach, garlic and some chilli, thats it! 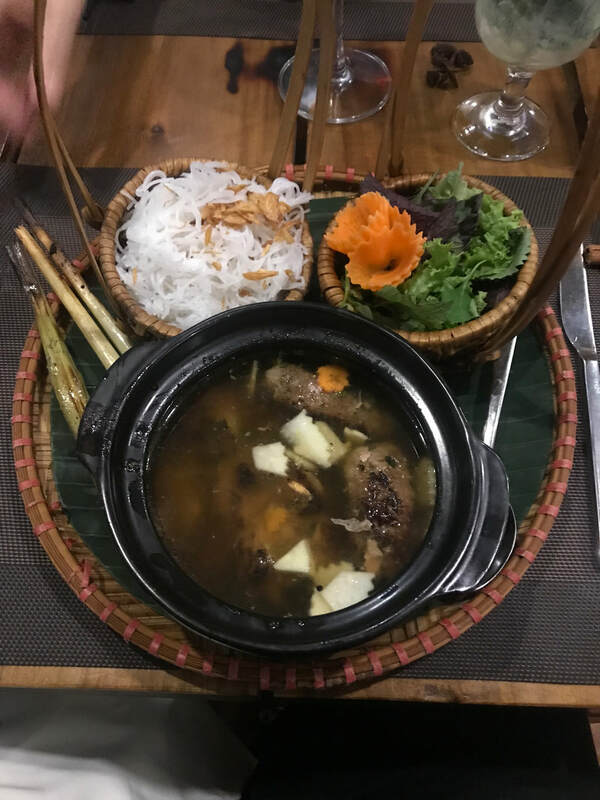 We will alway endeavour to manage your expectation so if you want a change from Vietnamese food, let one of the team know and we will try and get you what you want. Remember that Vietnam is still a communist state so finding a McDonalds or KFC may be a little difficult.